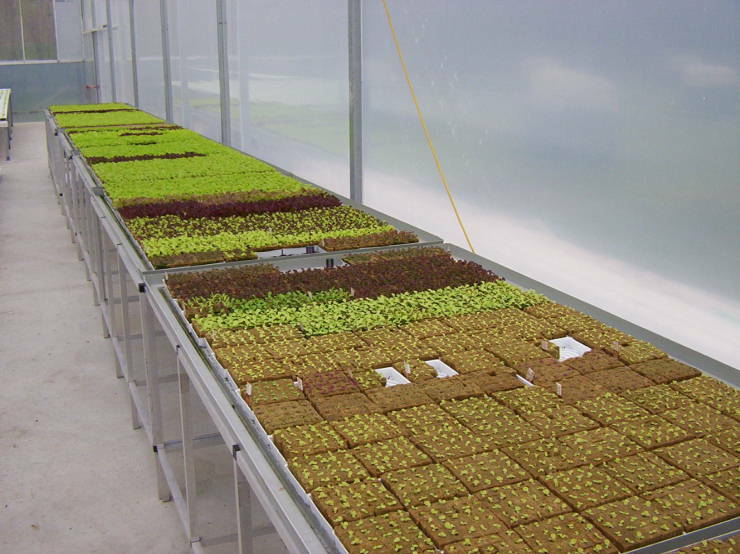 NFT is an ultra-resource efficient method of growing plants by providing a highly oxygenated, slowly moving film (stream) of dissolved minerals to the roots in a flat bottomed, gently sloped channel (the gully). Plants are placed at intervals along the gully and grown with their root ends constantly moistened by the nutrient film. 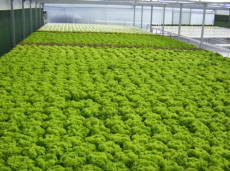 The nutrient film is shallow enough for most of the root mass to have direct access to oxygen from the surrounding air. 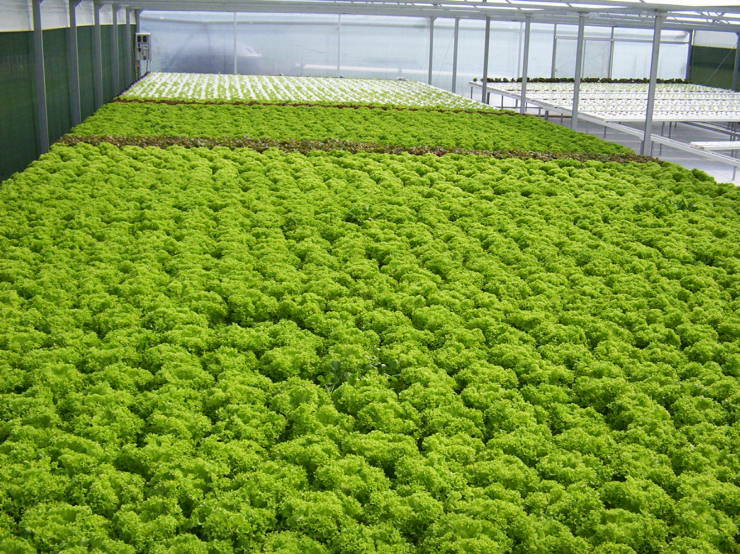 The nutrient solution is recirculated through a reservoir that is highly aerated and continuously monitored for pH and nutrient strength. 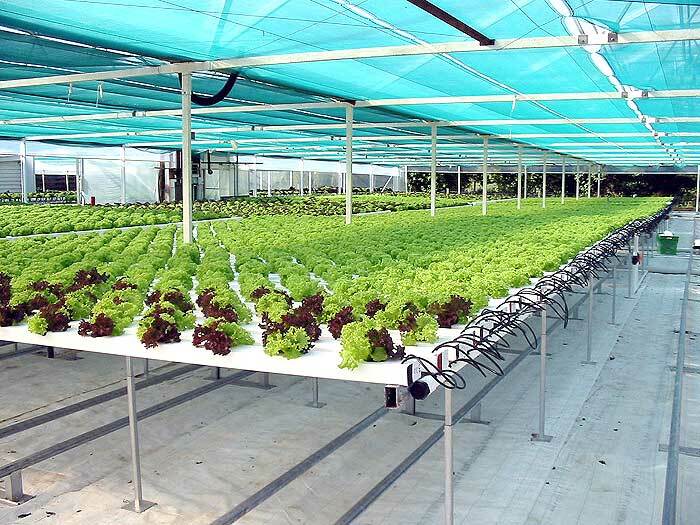 Nutrient strength and pH are adjusted on demand with the use of automated monitor/dosing computer equipment. 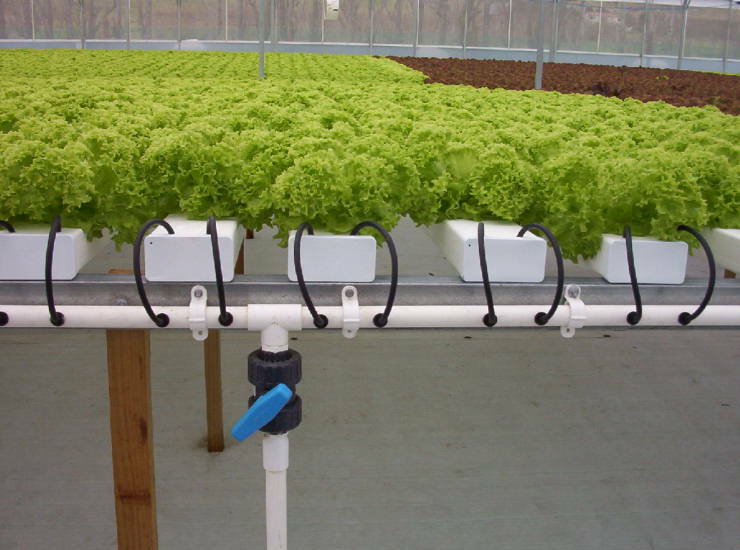 This provides constant balance and optimum conditions for thriving plant growth. This monitoring equipment is available from Stockers. 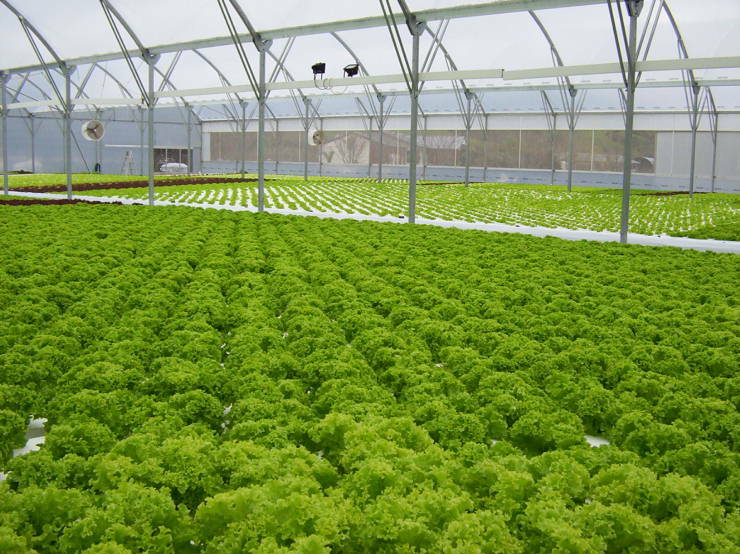 Clean, mineral rich, pesticide and grit-free lettuce. 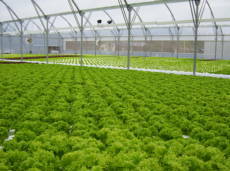 NFT lettuce requires only a fraction of the labour. Boasts 30% more production per acre than the best traditional soil methods. 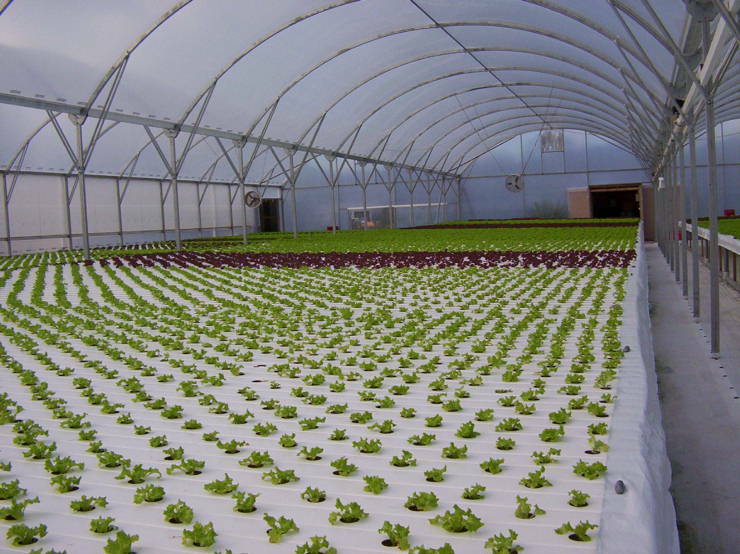 NFT uses just one tenth the water. Source water quality must be a constant, not a variable. 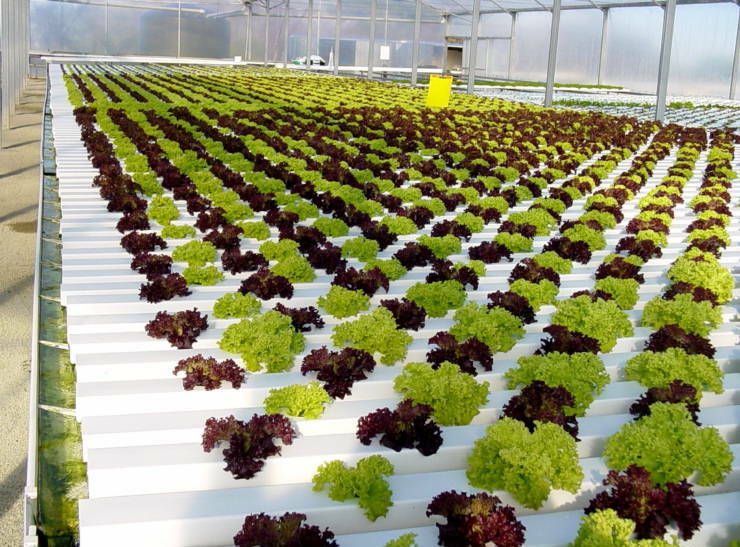 Before even considering hydroponics water must be analyzed beforehand to determine qualities. Upon analysis water must be as pure as possible going in. If too many mineral elements are present, i.e. high sodium, heavy metals or pathogens, it must be treated with Reverse Osmosis Membranes and/or Ozone. If source water mineral, such as sodium, is too high, reservoir will need to be dumped much more frequently which is wasteful, costly and unnecessary. 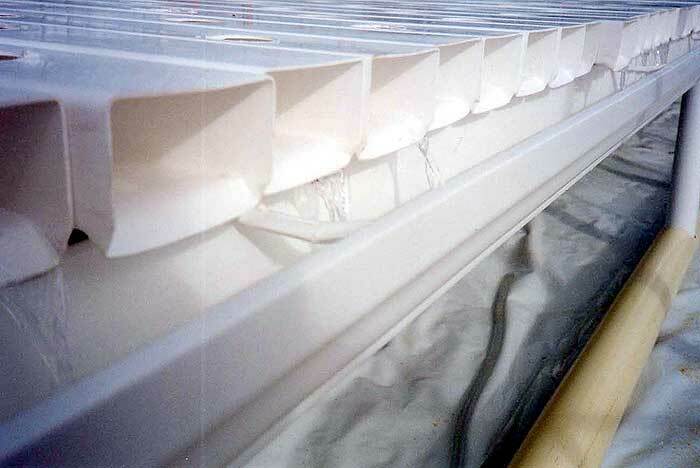 Gully must be flat bottomed to achieve a broad nutrient film (stream). Slope must be a minimum of 1" in 40". No runs longer than 60' (18 metres). 1 litre a minutes flow rate per gully maximum. ¾ litre per minutes for short runs. 2 feeder tubes per gully, in case one blocks. 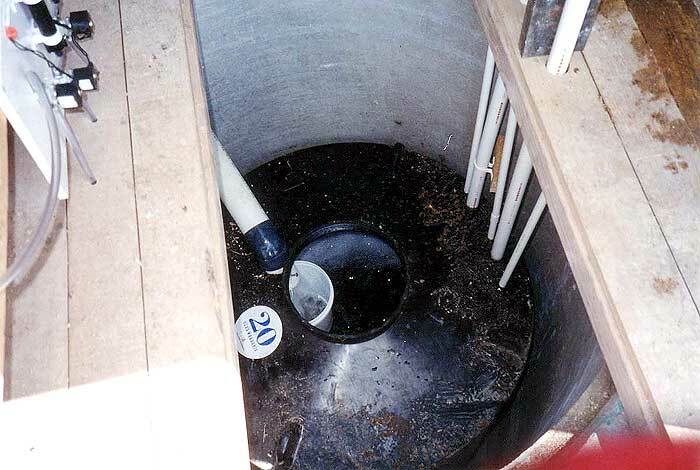 Reservoir should be sized so that when the system turns off the reservoir needs to be able to hold 2000 litres. Returning nutrient must fall into the reservoir. 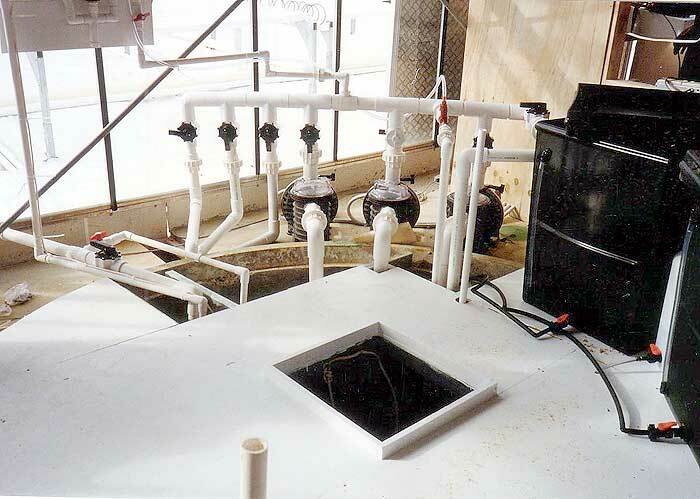 All reservoirs must be equipped with venturis for oxygenation. 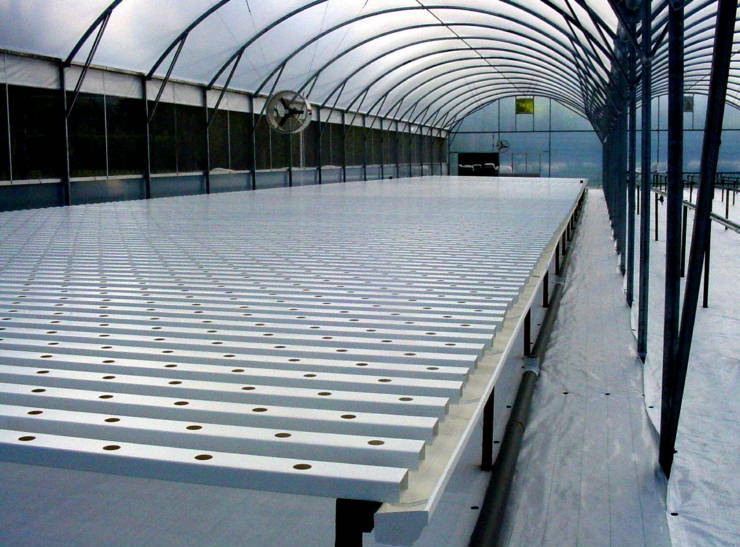 Ethylene, a by-product waste gas of plant metabolism, can choke a recirculating system. A venturi that operates off pump pressure creates a spa like effect in the reservoir, agitating ethylene out of the solution and introducing fresh air into the tank are.